Engl 791/891: Copyright & Literary Culture. The practical consequences of copyright are broad and deep—from the construction and dominance of the iPod/iPhone to the institutionalization of Shakespeare, these are matters directly tied into the rich, complex and sometimes maddening history and theory of intellectual property. At the root of modern copyright was the book sellers trade in Early Modern England, translated and transplanted to the American Colonies, reformed by the U.S. Constitution, and refined in the courts. 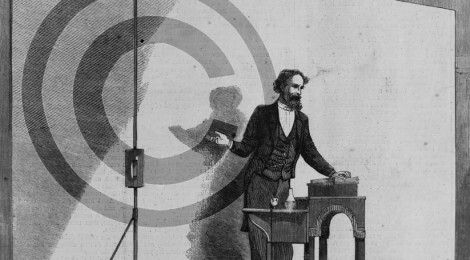 Throughout its history, we have seen how creators, the reading public, and the book sellers have battled and negotiated with each other to strike a productive but precarious balance—and our modern digital turmoil is the latest in a long line of technological ruptures that have left the creative class scrambling to re-define copyright once again. We shall investigate the theory and history of intellectual property through a mixture of novels, legal texts, popular journals, and criticism to comprehend copyright’s long and intricate relationship with literary culture, what is at stake with current copyright disputes, and what that may mean for the future of the book.